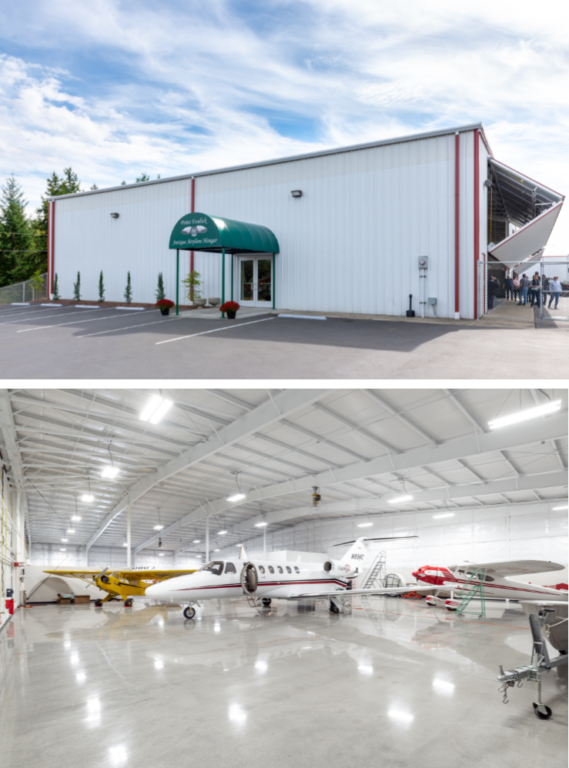 WA Patriot completed tenant improvements to the Point Fosdick Antique Airplane Hangar early in September 2018. The hangar is a type of living museum that features a collection of antique airplanes, motorcycles, and cars. It will offer guided tours or free walking tours, community events, public speakers and aviation movies. The Hangar will also be available to rent for wedding receptions and other private events. The owners of the museum hope to inspire young people to become pilots and mechanics, and their vision is that the community will come to the hangar to watch the planes fly and learn more about the history of aviation.